Having a baby or looking for a nice baby shower gift? 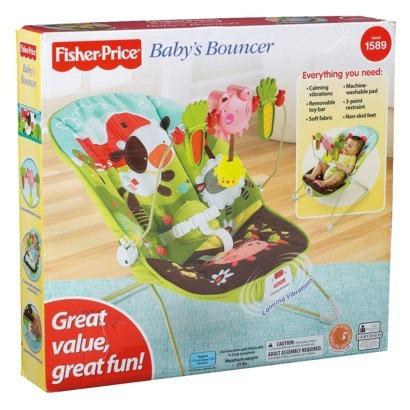 Today only, you can get this adorable Fisher Price How Now Brown Cow Bouncer for just $17.99 Shipped (scan to bottom of the page to see the deal). This would also make a great “extra” bouncer to leave at Grandma’s or the babysitter’s house. It’s 44% off its regular price of $31.99 and it will be shipped to you (or someone else if you are choosing this as a gift) – free of charge. Hurry – offer is valid today only.